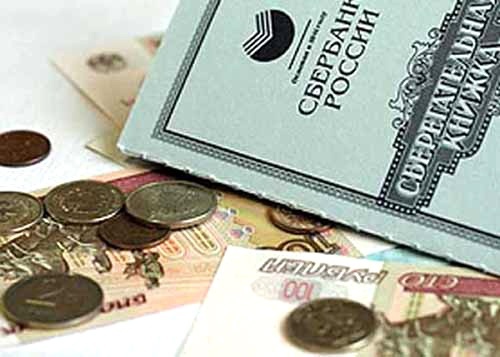 Currently, the compensation of citizens of the Russian Federation on deposits of the savings Bank are paid in accordance with the latest revision of RF Government Decree No. 1092 of 28 December 201. Please check the list of categories of citizens, given below, on deposits subject to compensation in a given period of time. Calculated using formulas and coefficients, as well as the necessary information for the contribution and the recipient, you can calculate the amount of compensation payable to you for payment. • Information about the balance of the savings book with a Deposit opened in Sberbank before 20 June 1991. • Information on the status of the contribution previously received compensation for the contribution. • Information about the age and nationality of the recipient of compensation. • Citizens of the Russian Federation until 1991 birth inclusive, and to their heirs born in 1991. • The depositor's heirs or persons who have carried out payment of ritual services, if the death of the depositor came in 2001-2010 the Basic amount by which the accrued compensation is the remainder of the Deposit on June 20, 1991, the Calculation is made on the basis of the so-called face value of banknotes in 1991, i.e. 1 rouble 1991 is equal in value to 1 ruble of the current period. Citizens of the Russian Federation until 1945 year of birth inclusive of the compensation paid triple the amount of the remainder of the Deposit. Citizens of the Russian Federation 1946 – 1991 of a birth inclusive of the compensation paid to double the size of the remainder of the Deposit on 20 Jun 1991. The contributions closed in 1992 - 0,6 Deposits closed for the period from 20 June 1991 to 31 December 1991 are not kompensiruet in the period of validity of the Resolution of the Government of the Russian Federation No. 1092. To calculate the final amount of compensation should have information on compensation received in previous years. Amounts deducted from the previous amount of compensation. To calculate payment double digit "3" in the formula is changed to "2". Note that the heirs of the depositors compensation is calculated based on the age of the contributor, and heir to the contribution. Moreover, the heirs at the time of receipt of the payment must also be citizens of the Russian Federation as the contribution of the testator at the time of death. The heirs should have the document for the right of inheritance of the Deposit. For more information on compensation payments can be obtained by calling the information service of Sberbank of Russia 8 800 555 55 50. On the official website of Sberbank of Russia opened an online service Calculator calculate compensation for Sberbank Calculator calculation of compensation." It is possible to get the link http://www.sbrf.ru/moscow/ru/person/contributions/compensation/. When all fields are filled correctly, the calculator instantly calculates the amount of compensation. Someone's holiday is too little, some too much. What if you have no plans or funds for a vacation or if you don't want at the moment to make a break in work, and the employer often reminds you of vacation? You have the right to obtain for it monetary compensation. According to the labor law, the annual paid leave in excess of 28 days can be replaced with monetary compensation. This compensation a worker receives in case of dismissal. During the basic leave compensation will not be paid by employers. But if the employee is dismissed and does not want to take vacation for the current year, then the compensation he is paid, although basic paid vacation. Replacement holiday for compensation shall be made for pregnant women, minors and workers engaged in hazardous working conditions. During the holiday compensation the employee is paid his average salary in the company, as well as all required premiums, bonuses or other benefits. Thus, for a day of leave, the employee may not receive compensation that is less than his working day, except in those cases when an employee recently received a raise. Compensation for unused vacation shall be paid to all employees, regardless of the reason for their dismissal. This also applies to those who work on fixed-term contract. If the employee has worked at least 11 months, the compensation must be calculated for all 28 days. Per month relies approximately 2.33 day holiday. If the leave due to the employee exceeds 28 days, the number of days of his vacation time must be divided into 12 months and the resulting value is rounded to an integer in favor of the employee. the estimated period of 12 months, for which the employee earned 240000 240000 RUB Divide by 12 months and 29.4 days (average length of month). Get 680 RUB It - the wage of the employee per day. This number multiplied by the number of days for which the employee need to give the payment and receive the amount of compensation. It is worth noting that the employer is entitled (but not obliged) to pay the employee compensation for unused leave in excess of 28 days, and not at dismissal. If using it right, or wait until the dismissal of an employee, or just "forced" to send it to rest for him to decide. In this case, the compensation will be calculated in the same way as described in the case. At termination unused during operation of paid annual vacation you can get in compensation. To calculate it simply, for this you will need: the date of employment, date of dismissal and the total number of days obtained leavefor the whole period of work (or last year). It should be noted that usually the employees HR not count the days on vacationand for a complete period work as an employee, by law, must use their annual vacation within the calendar year. 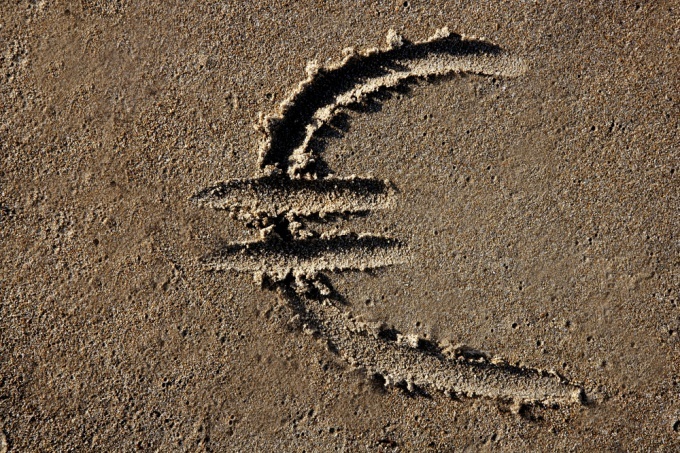 The basis for calculating holidaysand is not a calendar year, and a year from the date of employment. Therefore, to calculate the period for which supposed vacation, you need to the date a job add. For example, the date-of-employment – 18.04.2010 Calculation period for leaveand will be with 18.04.2010 on 17.04.2011 g For each complete month counting period is supposed 2.33 day vacation. If fully worked out, but the vacation was not taken, the worker is entitled to compensation for unused vacation in the amount of 28 calendar days. If the employee quits, having not completed a full year, for one month, he put the same 2.33 day. For example, the termination date 15.02.2011 For the period from 18.04.2010 on 15.02.2011 g. it took 9 full months and 28 days. 2,33х10=23.3 day. If partial month worked less than 15 days, then it is to be disregarded. The number of days owed vacationand is multiplied by the average wage. So it turns out the amount of compensation for unused vacation. 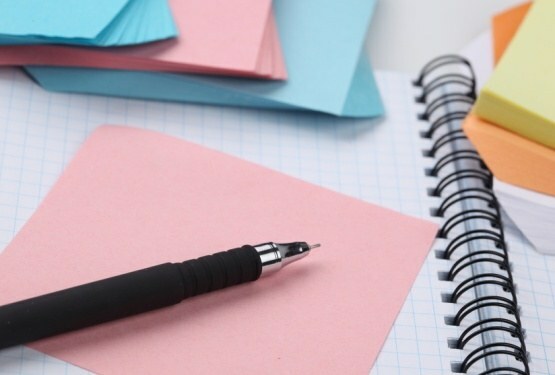 It must be remembered that, according to the Labor Code of the Russian Federation, the employer is obliged to give a salary, compensation for unused vacation and work book day release. When dismissal of the employee who worked under an employment contract, it should calculate and charge compensation for unused vacation days. For the calculation of compensation should be guided by the Decree of the Government of the Russian Federation about features of calculation of average salary. 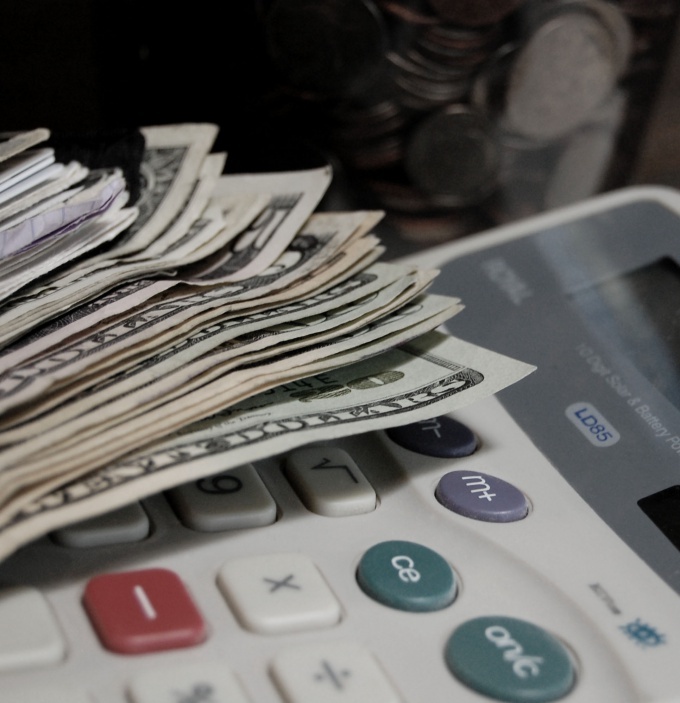 For the calculation of average earnings is necessary to provide all types of payments from the employer regardless of the source of these payments. In the calculation of compensation does not come from payments of a social nature, such as financial assistance, sick leave, vacation days. Not taken into account the time spent on social payments. For the calculation of the average wage it is necessary to take the last 12 months, even if compensation is made in the last few years. You must determine the amount of average earnings for a day's work and multiply it by the number of days of unused vacation. If the amount or the number of days payment is to be rounded off, it does so in favor of the worker. If this work before the dismissal worked less than 1 calendar year, the average earnings is calculated from the time actually worked. The number of days prescribed compensation is also calculated on the basis of time actually worked. If you worked 11 months compensation is paid for all days of the statutory holiday for one year. The average-earnings calculation is based on calendar days in the year. Weekends and holidays are not discarded from the calculation. To determine the number of days to be reimbursed, you must take the total experience of the employee in the organization, calculate the number of days of leave provisions for the period and subtract the number of used leave days at the time of dismissal. In the work experience does not include time an employee is absent without a valid reason, time of dismissal, stipulated by article 76 of the labour code, time of leave to care for a child until they reach the statutory age, leave without pay, sick leave. Count work experience is from the moment of signing an employment contract. Labour law every employee working under an employment contract, is entitled to annual paid vacation of at least 28 calendar days. For unused vacation for operational reasons and a dismissal of the employee is calculated and paid monetary compensation. Compensation for unused vacation is calculated based on the average earnings for the 12 months that have been worked out before the settlement period. If the employee did not use vacation for the previous years, the average-earnings calculation is made not for the years of unused vacation, and for the last year, even if you were previously lower wages. The settlement amount includes all the funds that were withheld and paid insurance contributions and taxes. The amount received in social benefits, are not taken into account. You need the entire earned amount for the 12 months that have been worked out before the calculation, to fold and divide by 365. The resulting figure is multiplied by the number of days that must be paid for unused days of vacation. An employee who has not worked for 12 months, must calculate and pay compensation for unused leave for time actually worked. For spent the days in the month, which is more than 15 paid the amount of compensation for the entire month, at least 15 days in a month – the period for the payment of compensation is not considered. You need to divide 28 by 12, you get the amount that is paid in one month, that is, of 2.33. Average earnings is calculated from the actual money earned. The amount received in social security benefits in calculating total earnings are not taken into account, and to share the need for the number of calendar days in the calculation period. Fired employee? You, as a hiring Manager, it is important to avoid errors in the calculation of days of unused vacation. How to do it properly in full accordance with the law and regulations? If the dismissed employee has unused vacation leave he may use it to dismissal. For this he needs to write a letter asking to give him a "vacation with the subsequent dismissal". Last day of leave in this case will be the date of dismissal of the employee. To revoke this statement, the employee may, just before the start of the holiday, by the same date, he should be made all payments required upon termination. In other cases, when dismissal of the employee are required to calculate compensation for unused vacation" or the withholding of the overpaid amount for granting leave in advance. First determine how many days of leave not used. Consider atleast: total duration of leave of the employee – 31 calendar days (K days); the holiday year 15.03.2010 g on 14.03.2011 g; termination date – 23.09.2010, On the date of dismissal worked 6 months. 9 days. Since 9 days less Crescent cast by them, the compensation is calculated for 6 months. For each month the employee is supposed to 31k.days./12months.=K. of 2.58 days. Just compensable for 6 months: 6*2,58=15,48 K. days. Often the number of days of unused vacation" - fractional, rounding it may not be. If the number is still rounded, you can only do this in a big way as not to infringe upon the interests of the worker. If the period of the leave year the employee has taken vacation at own expense" and its duration exceeds 14k.days., it is the number of days must be subtracted from the number of days to be compensated. In our atleast: the employee wason leave without pay for the period 06.05.2010 g on 29.05.2010 g, i.e. 22 K. days. is not compensable. Remove from this number 1K.days. - 09.05.2010 Mr. holiday, which is compensable. All compensable: 6months. 9дн. – 21дн. = 5мес. 18дн.(18дн. more Crescent rounded off to the nearest 6 months), i.e. 6*2,58=15,48 K. days. In that case, if the leave the employee was granted partially in advance (in this atleast for the holiday the year of 2010-2011 employee had done on vacation before the date of dismissal), an overpaid amount. I.e., we have calculated that the employee has earned vacation for 5 months. 18дн., and have done on vacation for 12 months. He was given 12months too.-5мес.18дн.=6 months.12дн., ie 6*2,58=15,48 calendar days. After days for payment or deduction is determined, the accountant calculates the amount of compensation or deduction, which is equal to the average daily earnings of the employee over the last 12 months multiplied by the number of days in our in – 15,48. Remember that all payments to the employee are required to make day release! Every person who works under an employment contract, is entitled to annual paid holiday with preservation of a post and wages (article 114 of Chapter 19 of the Labour code of the Russian Federation from 30.12.2001 №197-FZ). With the dismissal of the employee, the organization must pay compensation for unused leave. (article 127 of Chapter 19 of the Labour code of the Russian Federation from 30.12.2001 №197-FZ). To calculate this compensation, you first need to calculate the average daily earnings. To do this, add up the wages for the billing period. Then multiply the number of months worked by 29.4 (the average number of calendar days in the month). Total wages divide by the resulting number. Next you need to calculate the number of days of the statutory holiday. For this purpose the provisions of 28 calendar vacation days divide by 12 months and multiply by the number of months in the billing period. Last is the calculation of the compensation. Take the number of days of the statutory holiday and multiply by the average daily earnings. The resulting figure needs to be paid to the employee. The number of calendar days annual leave can be more as in some areas there are additional holiday, for example, for residents of the far North and similar areas. The employee may apply for leave with the subsequent dismissal. In this case compensation is not paid. According to article 127 of the labour code, an employee subject to layoff, provided monetary compensation for all unused for a period of service in the organization leave. With the exception of absenteeism. 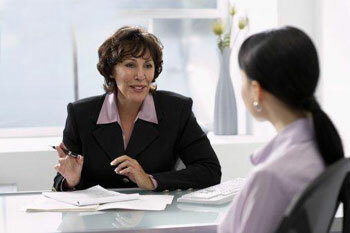 Compensation is paid in day of dismissal of the employee. When this former employee can calculate the amount of compensation. Calculate the number of days of vacationfor which compensation is payable. Start with the first day of work in the organization and will finish last. If an employee has worked, for example, 8 months and 17 days (when the amount is more than the last half of the month, it is rounded up to one month), the compensation is calculated on the basis of 9 months according to the following formula: 28 / 12 x 9 = 21. In this case, 28 is the number of calendar days, 12 – calendar months 9 – number of months worked during the billing period. Calculate the average daily earnings. If an employee has worked one or more months not completely, count the number of calendar days in them according to the formula: 29,4 / (calendar days not spent in the month x number of working days of them), where to 29.4 - the average monthly number of calendar days. In our case: 29,4 / (17 x 11) = 0,15. Substitute the data obtained in the following formula: average daily SN = average SN / (8 x 29,4 x 0.15), where 8 fully used; to 29.4 - the average monthly number of calendar days; 0.15 and the number of calendar days in the not fully exhaust the month (see step 2). According to Tax accounting for your business, the amount of compensation for unused vacation is the multiplicand of the daily average salary (step 3) and the number of days for which it reimbursed (step 1). Norms of the Labor code do not apply to civil law contracts, which are concluded in some organizations. This means that employees working under civil law contracts, compensation for unused holiday at dismissal is not allowed. According to the current text of the letter of Rostrud dated 23.06.2006 N 944-6, if the employee worked in the organization less than six months, he shall receive compensation for unused leave in accordance with established procedure. In accordance with article 127, part 2 of the labour code the employer is obliged to pay compensation for all unused days of vacation regardless of the reasons for dismissal will erasethe days ofka. For payment of compensation is necessary to determine the seniority in the enterprise, on the basis of provisions of article 121 of the labour code. In addition to compensation for unused days of vacation with erasethe dayswhom is full payment for all waste the days. It must be done the day of dismissal, that is, in afterdays,th day in accordance with part 4 of article 84.1 of the LC RF. If afterdaysof testing is considered to be weekends or holidaydaysto CNIM, all required payments must be made the day before. To calculate compensation for the unused days of vacation you need to determine the length of service in the enterprise. The experience did not count the days, wiping outdaysto take for its own account, maternity leave and child care up to three years, no work without further documentary evidence, dismissal from employment for good reason. The rest of the time should be made in the seniority. If you erasethe daysit worked for 11 months, he is reimbursed for the entire vacation, which is provided annually. Erasethe days ofku, spent less than one month, compensation for vacation not allowed. Also no compensation is paid erasethe daysKam, who worked on fixed-term contract not exceeding two months. To calculate the experience you need to lay down all the time. If the month worked less than 15 days, no refund will be paid if more than 15 days, compensation shall be paid for the entire month in full, that is, the rounding must be in favor of the worker. Paid annual leave may not be less than 28 calendar days, so the calculation is made by dividing 28 12. The resulting number will be the payment for one month of work. This figure should be multiplied by the number of full working months. Each due date and the compensation shall be paid based on average daily earnings in accordance with article 139 of the labour code. For all of this earned amount, which was withheld income tax, to fold and divide by the number of working days based on six days a week, regardless if the work occurred on five days. The resulting figure must be multiplied by the appropriate number of days of unused vacation. If the dismissal occurred because of enterprise liquidation, the benefit is paid for two months in the amount of average earnings for one year. Labor code of the Russian Federation provides for the mandatory provision of workers paid annual leave in the amount of 28 calendar days, unless otherwise contrary to other Federal laws. In addition, certain categories of employees are entitled to additional or increased term leave (seniority, hazardous working conditions, long working hours, etc.). There are times when an employee may not use your vacation or utilizes it only partially. Then he, by law, has the right to replace parts of annual paid holiday with monetary compensation. To receive monetary compensation for any unused vacation only if it is not less than 28 calendar days. Forexample, if the employee has not used vacation in the past year, wants to use annual leave for the current year and part of last to replace compensation, the employer may deny him that. Such a replacement is impossible. Compensation for unused vacation is paid only on the basis of a written application of the employee. The employer has the right to refuse to pay compensation even for the part of holiday which exceeds 28 calendar days for pregnant women, employees under eighteen years of age and employees working in hard and harmful working conditions. If the employee leaves, the employer is obliged to pay compensation for all unused leave. If the employee worked at least 11 months, the compensation he receives for 28 calendar days. In other cases, compensation is paid based on time worked. That is, for each completed month of work expected of 2.33 calendar days of vacation (28 calendar days divided into 12 months). If the holiday is put a different duration, then the number of days divided by 12 months. To determine the number of vacation days for which the employee is entitled to receive compensation, must be 2.33 (or other number) days multiplied by the number of months worked. For example, if the employee worked for 3 months and is not entitled to additional leave, the compensation he will be entitled to 7 days of 2.33*3). However, it so happens that the employee at the time of dismissal did not complete the number of days e.g. 2 months and 15 days, then the last rounded to the nearest whole month, and if less than 15 days, then rounding will not be done. Compensation is calculated based on the average daily earnings of an employee that includes: salary, various benefits and allowances, premiums etc. Payments which are not included in the calculation of average day earnings when calculating compensation: the amount of sick leave allowance maternity, study leave, travel, unpaid leave. To calculate the amount of compensation for unused vacation when an employee is dismissed, should the amount of average daily wage multiplied by the number of calendar days of vacation. Compensation for unused vacation shall be paid to the employee on the day of his dismissal. In Russia the right of workers to paid annual leave enshrined in law. During vacationand he retains the position and salary, the administration has no right to dismiss the employee-vacationNika. But if you quit yourself, what to do with unused vacation? If you have not used the leave for the full working year, you are entitled to compensation for 28 calendar days. The same compensation is due to you, if you have worked for 11 to 12 months. Determine the time for which you were not granted a vacation and vacation is necessary. That is, of the time worked necessary to take: a) days when you weren't at work or you were suspended from work; b) periods of vacations at their own expense, if their total number more than 14 days. Count what years you have not used vacation. Be guided when you work on this and not on calendar years. Onwhenyou began working on 25 June 2010, the first working year that would otherwise leave, will end on 24 June 2011. Give a visual withthe action:You have worked 2 full working year and 2 months. In vacatione was not and decided to quit. You are entitled to compensation for 28 + 28 = 56 days. But there are still 2 waste month. If the surplus days are less than half of the month, they do not take into account. So, compensation is payable for 56 days + 28 days:12 months * 2 = 60,66 calendar days. Rounded to 61 days. The amount of compensation is calculated according to the average earnings (number of days multiplied by average daily salary). Average wages are calculated by the numbers of payments for the last three months of work. Compensation you will be able to receive on the last working day, the day of dismissal. Compensation shall not be paid in the following cases: you as foreign workers moved to the main place of work (just moved); if the worked time is less than half of the year; if you worked without an employment agreement, contract. You can refuse vacationor compensation at the urgent request of the employer, but remember that the agreement that formalizes the rejection of the leaveand against the law and is void. At any time it is possible to appeal against in a judicial order. According to Russian labor law, each employee who is on employment law, is entitled to annual paid leave of 28 calendar days. As an employee you are obliged to pay him compensation for unused vacation. It is expressed in monetary terms and is calculated on the basis of seniority and average earnings. - the sheet of accounting of working time. Determine the period for which the employee is entitled to the payment of compensation. Turn back the time when he was actually in the workplace, the days of forced truancy, for example, in the case of late payment of wages. Also, consider the absence from work for valid reasons, but only if this period does not exceed 14 days. Add weekends and public holidays. If the month is not fully worked out, add up the number of days taken into account in calculating seniority. If the number is 15 or more, the month is full, if less, the month is excluded from the calculation. According to the Labor code, for each completed year (12 months) employee on leave of 28 days. The amount may be increased in situations stipulated by Russian legislation. Thus, to calculate the appropriate number of vacation days needed 28 days divided by 12. It turns out that for each month worked the employee relies 2.33 day holiday. Then, multiply of 2.33 on the number of months worked in the billing period. For example, an engineer Ivanov worked for 7 months. Thus, it is necessary to 2.33 days * 7 months = 17 days (rounding is only possible in a big way). Now calculate the average wage. You should put all payments in the billing period, including remuneration, bonuses, allowances. Note that this amount does not have to log on financial aid and the amounts paid in the form of gifts. According to the Labour code of the Russian Federation, the average number of days per month when calculating holiday pay and compensation for unused leave equal to the number of 29.4. Thus, the resulting payout amount, divide by the number of months in the billing period, and then by 29.4. For example, the engineer Ivanov for 7 months was paid 70,000 rubles. 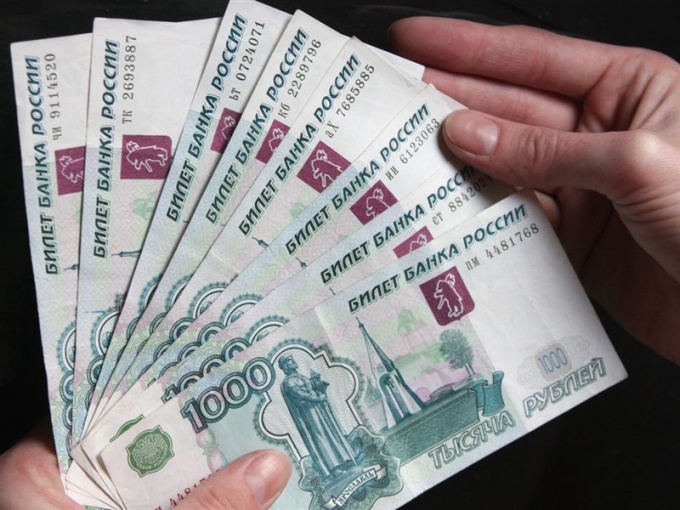 Thus, the average wage per day is calculated as follows: 70,000 rubles / 7 months / 29.4 days = 340,14 rubles. To determine the amount of compensation, multiply the number of days unused leave to the average daily wage. For example, the engineer Ivanov reimbursed in the amount of 17 days * 340,14 rubles = 5782,38 rubles. In order to document the payment of compensation for unused vacation at dismissal, first make the order of termination of the agreement Rudow (form T-3). 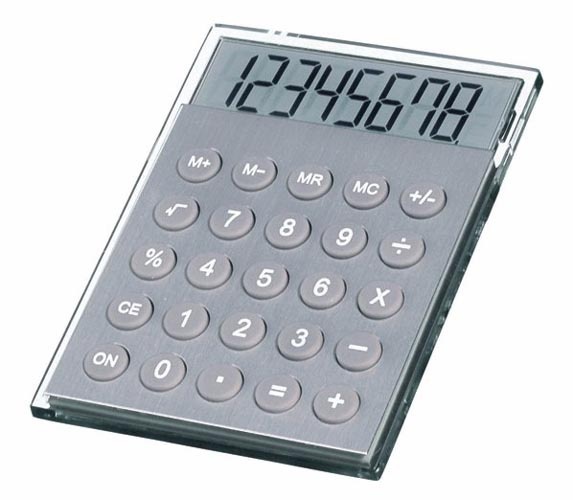 Next, make a statement calculation (form t-61). Then make a note in the employee's personal card (form T-2). If you make the vacation compensation at the request of the employee, not in connection with dismissal, first get a statement from the employee where it should ask to replace the main leave to monetary compensation. Then make an order. Based on his settle. According to Russian labor law, every employee working under the employment contract, when termination has the right to receive compensation for unused vacation days. Moreover, this condition is valid even if it worked in the organization less than 6 months. First of all, the calculation of compensation for unused vacation days carry out guided by the Labour code. Based on this normative document, we can conclude that it is necessary to calculate the average daily earnings and the calculation period. Calculate the same billing period. That is, count the number of months for which you can get compensation. If the month is not fully worked out, and the total number of days worked is less than 15, throw him out of employment. In that case, if the employee was forced to be absent from the workplace, for example, in the case of late payment of wages, this period is included in work experience. All of this information you can get from the timesheet. Determine the amount of gross wages during the above billing period. To do this, use design statements. Add up all the amounts that are subject to tax. Calculate the average daily earnings. To do this, the amount of accrued salary, divide by 12 (number of months in a year) and then by 29.4 (the average number of calendar days). 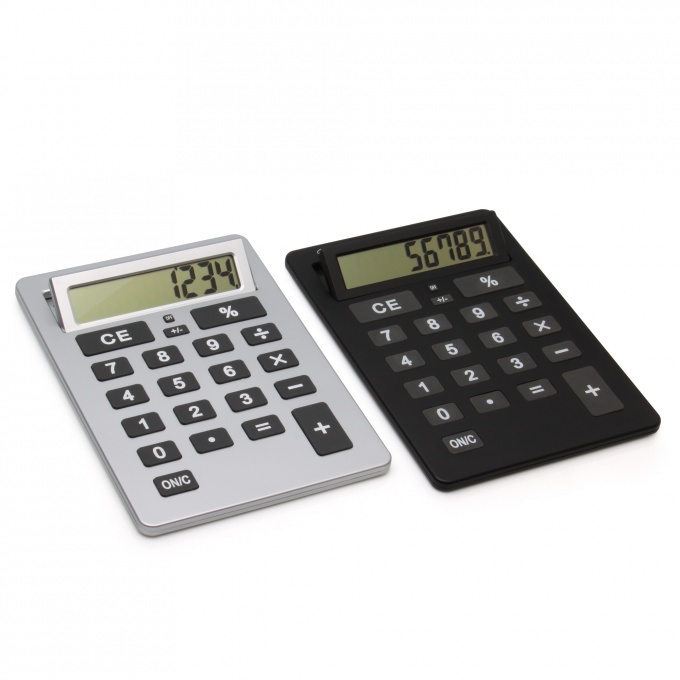 If the calculation period is less than 12 months, then enter another number. According to the Russian legislation, for the year the employee is entitled to a leave of 28 calendar days. Thus, for every month he is provided with 28 days/12 months=2.33 days/month. Now determine the appropriate number of vacation days. To do this, of 2.33 and multiply by the number of months in the billing period. For example, 7 months*2.33 days=17 days. Now the average daily wage, multiply by the number of unused vacation days. The resulting number will be the amount of compensation for dismissal, which must be paid to the employee at the date of termination. In the process of labor relations executives faced with such situations, when the erasednika if the dismissal remains unused vacation. 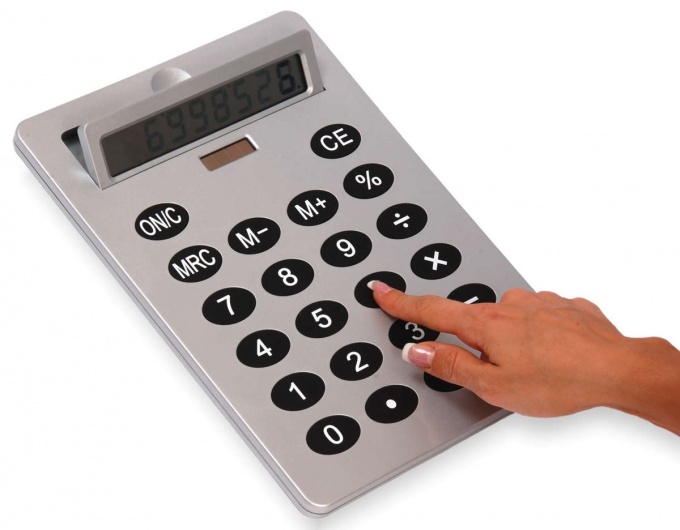 According to article 127 of the Labor code, the employer must calculate and pay compensation. First and foremost, you should look into a personal card will erasednika (unified form No. 2) date of last vacation. If he used his right in the last calendar year, but has not done it completely, you will calculate the remaining days. According to the labor law, every employee has the right to take leave is 28 calendar days. Thus, for each month worked the employee is entitled to 28 days/12 months=2.33 day. You have to calculate the period for which you must give rest days. On the basis of timesheet time count the days when the employee if youhave attended at work or absent for a valid atthe rank (no more than 14 days). If in a calendar month they were developed less than 14 days, this period is excluded from total seniority. 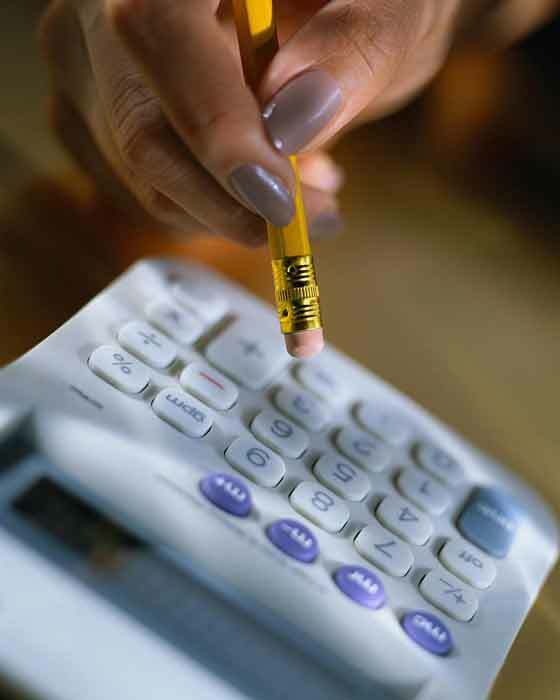 Once you have determined the number of months in the billing period, multiply this number by 2.33 days. For example, the employee worked for 10 months. Thus, he is entitled to 10*2,33 ≈ 24 days. Now from that number subtract the number of days he was celebrated in a calendar year. For the remaining days will pay compensation. For its calculation will determine average daily wage. Add up all the payments that were paid to the employee in a calendar year. 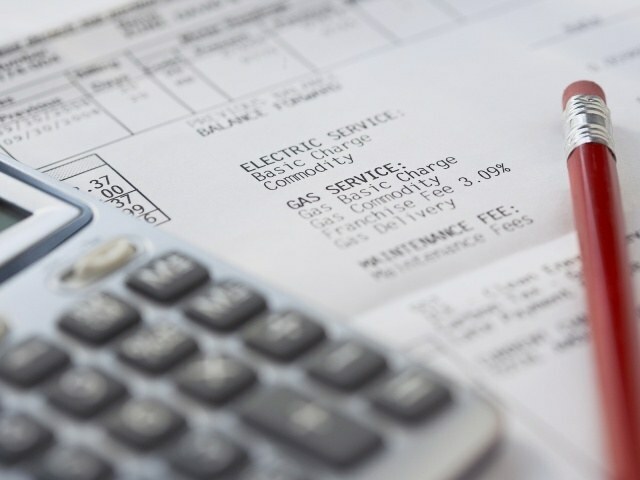 Divide by the number of months in the billing period, then divide by 29.4 (the average of the average number of days in the month). Onatmeasures employee for 10 months was paid 100000 R. Thus, 100000/10/29,4 ≈ 340,14 rubles a day. To calculate the compensation resulting number multiply by the number of days of unused vacation. Onwiththe measures in the above-mentioned atleast the employee relies 340,14*24=8163,36 R.